The kick off to this year’s LABAlive series, TIME, is right around the corner and we wanted to show all of you a look into the artistic process behind it with one of our co-artistic directors, or time keeper if you will. I was able to talk with Elissa Strauss about what went into planning this years season as well as what you have to look forward to! What was the inspiration for “Time” being the theme of LABA this year? Well after spending a year exploring a visceral and personal theme like “Mother,” we wanted something more esoteric this time around. Time is both very concrete (tick, tock, tick, tock) but also so elusive; Is there a beginning? An end? Or is time timeless? Or cyclical perhaps? And then there is the very down-to-earth fact that time, or feeling like we don’t have enough of it, is a central issue of our, well, time. “Time famine,” “time poverty”: these are buzz words today and they afflict lower, middle and upper income populations alike. Since Judaism is in many ways a religion of time, we thought it was the right moment to draw upon our ancient texts and see what they have to say. What can we expect from this year’s batch of LABA fellows? Very good things! This year people applied with incredibly ambitious projects, including a documentary about what time does to memory, a play about how time travel affects ritual and an interactive digital art installation that has us wandering through desert. It is so exciting to see everyone already thinking hard about their projects and how the study of ancient texts can enrich them. What are you hoping audiences and the community will get out of LABAlive? Our goal at LABA is really two-fold. 1. Show how compelling and relevant ancient Jewish texts can be in a cultural, rather than religious, setting. 2. Support the creation of really good art. If someone leaves a LABAlive show feeling like, “wow, what an interesting Talmudic story that was, it’s really got me thinking,” and “that piece of musical theater was incredible,” then we did our job. Anything else new going on with LABA this year? Yes! For one we re-did our website, LABA Journal, and are going to regularly publish some really interesting commentary from our staff and fellows on ancient texts. Some of the responses will be in writing, and others will use music, art, dance, or whatever medium they work in. So people should regularly check in to learn about ancient texts in the free-spirited, non-religious LABA style. Or they can follow us on Facebook where we regularly post the latest from the journal. Second, we are about to launch LABA Unlimited, which is a season pass to every LABA show this year, 7 in total, and it also includes an invitation to one of our study sessions, all for $100. Every year we think more and more about how we can create a community out of our audience, and we hope by encouraging people to come to all of our events and come study with us they will have a chance to make friends with like-minded people and experience our journey into time in a deeper, more enriching way. 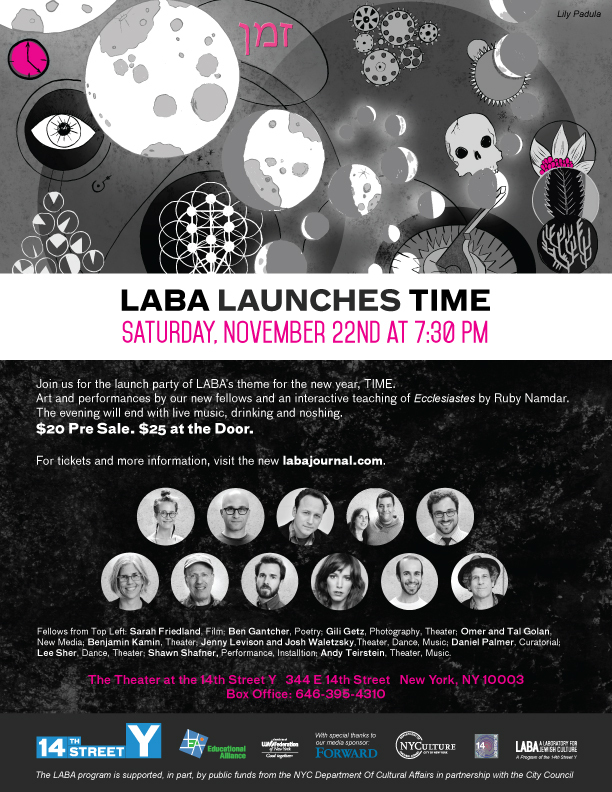 Make sure you come to LABA Launches Time on Saturday, November 22nd at 7:30pm and check out all the other amazing LABAlive events happening this season! LABA: A Laboratory for Jewish culture is a program of the 14th Street Y that uses classic Jewish texts to inspire the creation of new art and thought. LABA programming includes our House of Study for artists, original events and performances and LABAkids, a unique combination of text study, art-making and live shows geared towards the little ones. Each year LABA chooses a theme. This year we are looking at TIME. 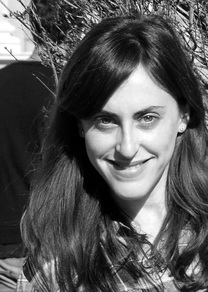 Elissa Strauss is the co-artisitc director of LABA at the 14th Street Y. Find out more about her, here. Have you ever wondered what happens to the 14th Street Y banners when we’re done with them? They’re not thrown away. They’re reused and upcycled by Vaya Bags in Queens. 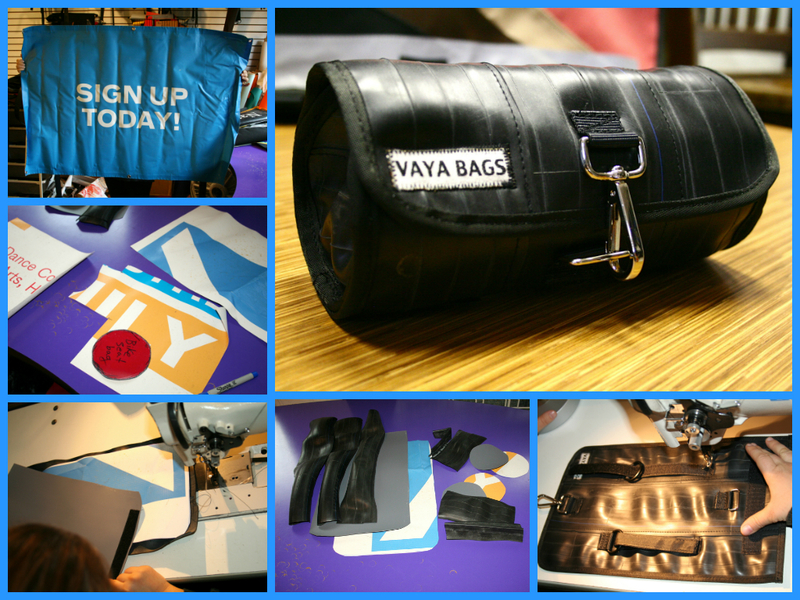 Vaya Bags uses leftover canvas scraps and used bicycle tubes donated from local businesses to make their goods. Maybe you remember seeing them at the 14th Street Y Green Fair? Our own Executive Assistant, Marissa Rosenblum, likes their backpacks so much she bought one. She uses it almost daily and brought it with her on her trip to Europe. 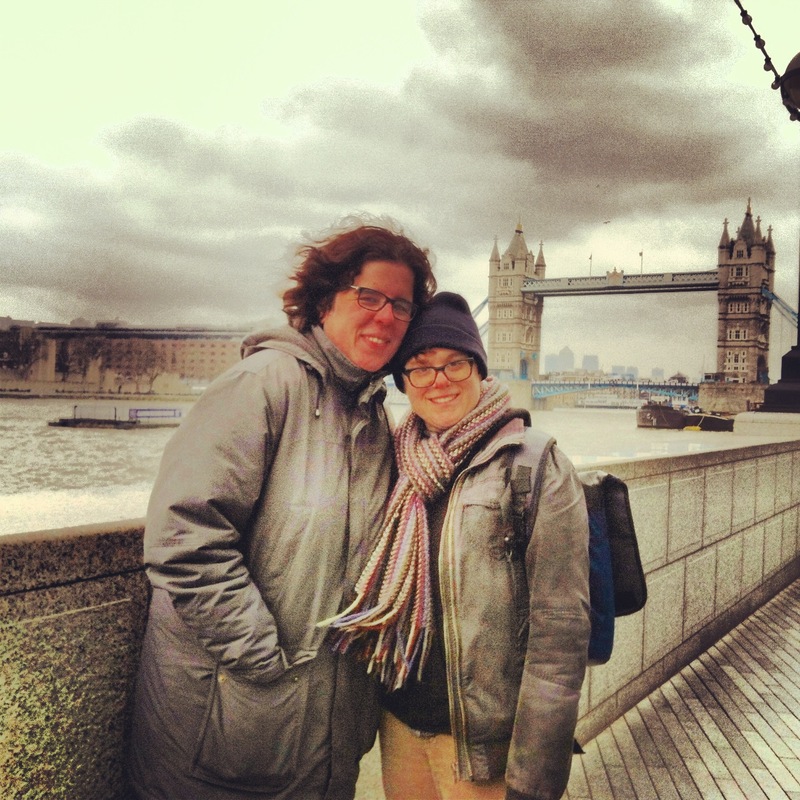 Marissa and her wife, Sarah, at Tower Bridge. 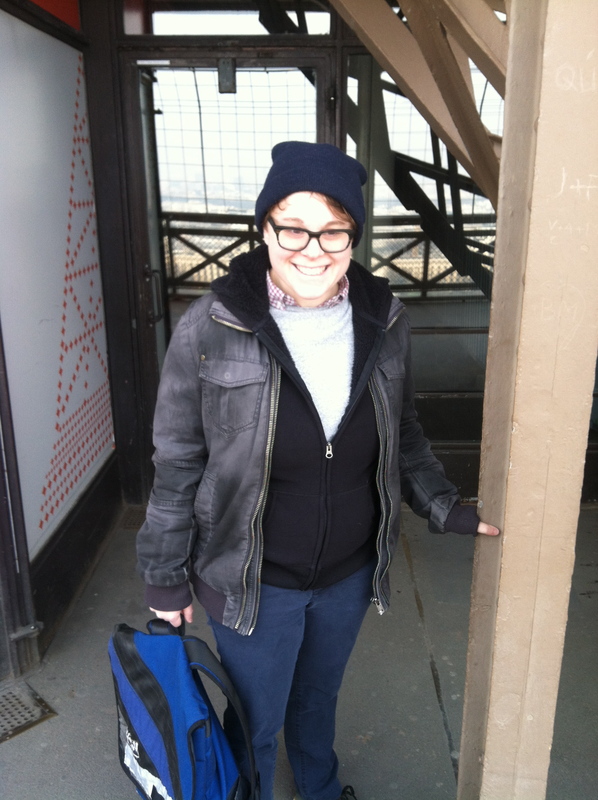 Marissa on top of the Eiffel Tower. She is not fond of heights. So what do Vaya Bags do with our banners? They use them as stiffeners. This is their Handlebar bag. The 14th Street Y is proud to support and be involved with local businesses like Vaya Bags while keeping waste out of landfills. Thank you to Tia and the Vaya team for the photos.